The French literary circles consider Bigongiari a great poet, but he’s not known enough by the readers according to the importance of his work. Not out of ignorance Bigongiari has been forgotten but because of his complexity, his experimental character. 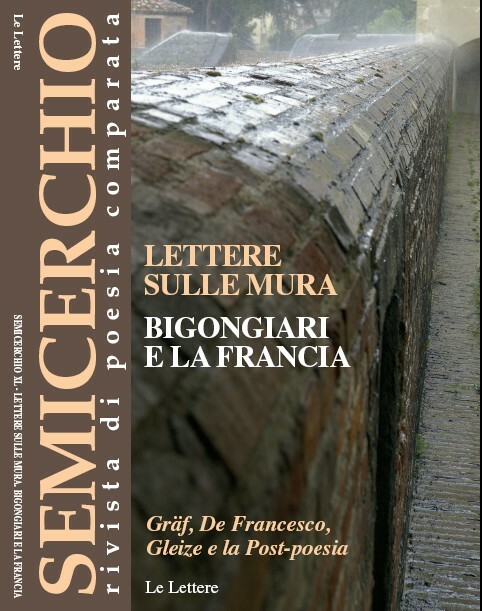 The difference between the Bigongiari translations in French: Fongaro is a classic translator and takes in great consideration the meaning, while Ughetto and Jaccottet are poets and their effort is to express and rewrite Bigongiari by their own rhythms. In the universe created by Bigongiari there is a continuous exchange of cultural richness between him and the French poets. The translation workshop “I mattutini” has been a crucial space for experiencing the risk of the foreign word and also an important application of the “correspondence”, a key word for the Scriptorium movement. Working in groups of two or more nations in the presence of the author can be an interesting process with the possibility to question the poem in its details. Poetic translation can’t be just literal, it has to be literary to communicate a certain equivalence to the original. It’s important to think about the difference between taking and understanding. Translating is understanding rather than taking. Between friendship and humour the exercizes of the Pistoia’s workshop made possible to find out the secret meaning of the text and to follow the poet in the twists and turns of his sensibility. Working in couples is a satisfying activity for a translator. The lesson learnt from Jaccottet’s work on Bigongiari.